The CIC is an award winning, internationally recognized, 501(c)(3) educational organization open to K-8 students statewide, and is designed to develop, encourage, and enhance critical thinking skills through invention, innovation and entrepreneurship. The annual convention gives students and parents an introduction to careers in engineering with exhibits staffed by UConn's students and professors which showcase engineering subjects, including civil, mechanical and chemical engineering – helping students discover engineering and science as real possible careers, definitely within reach. More than 300,000 children, K-8, have experienced locally driven CIC invention programs. Annually the CIC serves between 10,000 students in grades K - 8 across Connecticut from over 130+ participating Connecticut schools. 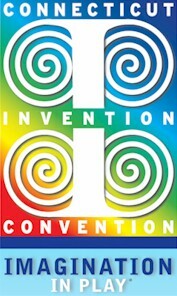 Of this number, the best 700 student inventors join us at the state convention held at the University of Connecticut.